Sometimes certain plants in your North Georgia landscape may need to be moved due to new home additions or hardscape projects. Generally, this process is simple, though it still takes some hard work. However, for the more established plants like mature shrubs, it may take some extra care to move them around your landscape. If you have decided to tackle transplanting these shrubs yourself, Hutcheson Horticultural Company has a few tips for you below. Is the shrub a manageable size? How old is the shrub? Will I be able to water this plant for at least an entire year after transplanting? During what season should I consider transplanting the shrub? Smaller shrubs are obviously more manageable for DIY projects because they weigh less and those that are three feet tall or less, can be moved without digging up a solid root ball. Age matters as well because older shrubs (five years old and older) generally do require the root ball to be dug up and transplanted; whereas most plants ages three to four can be moved as bare root transplants. Long-term watering is also a critical consideration for those shrubs/plants that are moving moved. 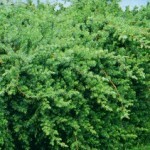 The ideal time for most shrub and tree transplants (similar processes) is in fall, late winter or early spring. Day Before: Water the soil around the shrub the day before the transplant to reduce stress on the plant roots. Go ahead and dig your new planting hole so it will be ready for the transplant. Also, buy some burlap or a plastic tarp to cover the root ball when the transplant takes place. Day of Move: Using string, gently tie up lower branches of the shrub to keep them out of the way during the process. Gently begin removing the topsoil around the roots; then mark a circle around the shrub, guesstimating the size of the root ball. Dig with a flat spade around about twice the size of your root ball guess. Dig deeper and deeper shaping the root ball, while cutting any large roots with loppers. After you have dug out a nice root ball shape, begin digging underneath it to cut any remaining roots below. 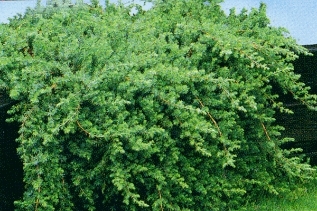 Push shrub on its side to cover root ball with tarp or burlap; wrap and then move shrub. Water the roots while in between the transplant if it is not going immediately into the ground again. Also, water the newly dug hole that it is being moved to. Set the shrub in the hole, remove the tarp, then cut the strings holding the branches. Backfill the hole with soil mixed with slow-release fertilizer and superphosphate. Water the shrub every day for a week, then every other day until the end of fall; be sure the shrub does not go without water for any prolonged length of time over the next year. If this sounds like a bit too much work, relax and let our experts at Hutcheson Horticultural Company take care of this for you! We offer a fantastic landscape design service where we will plan a beautifully balanced landscape for your residence or business, and then implement it without you having to lift a finger! From simple changes to full landscape makeovers, we will be able to create something gorgeous in your green space. Interested? Please contact us at Hutcheson Horticultural Company anytime!